Aldridge Borden & Company PC of Montgomery, Ala., has named Dane Floyd is its new MP. He succeeds James Blake, who has been the firm’s MP for over 35 years. 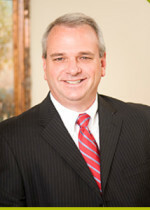 Floyd serves as a partner in Aldridge Borden’s consulting group, which provides business valuations, forensic accounting and business consulting services.